Being a woman of color it’s not always easy to take care of my natural hair. Montreal and fighting for a parking lot … it was tiring. where I was buying them. and in the process, helping you look good and keep your confidence level high while going about our everyday life. And that’s how Best Weave Hair came to life. 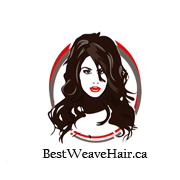 production, we aim to produce hair extensions for every Canadian and American woman. We have state-of-the-art warehouses where our hair and hair extensions are well kept. us women about the trends in fashion and technology, with emphasis on hair matters. kind of hair we want, there is a natural boost in our confidence, and we feel happy. to develop a very healthy relationship with both our customers as well as suppliers; a big HAPPY FAMILY. Be part of the story; get in touch with us today! Best Weave Hair; quality, reliable and affordable.